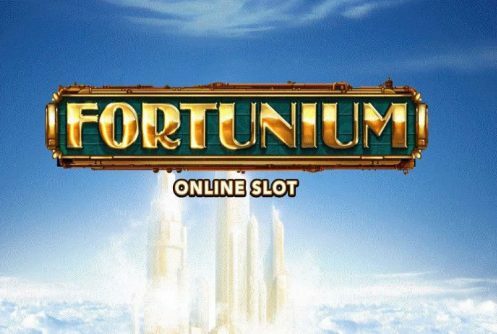 Fortunium from Microgaming is a 40 payline, 5 reel medium variance online slots that’s played on a 5×5 reel set, it pays a top jackpot (non-progressive) of 800x your stake on one spin. 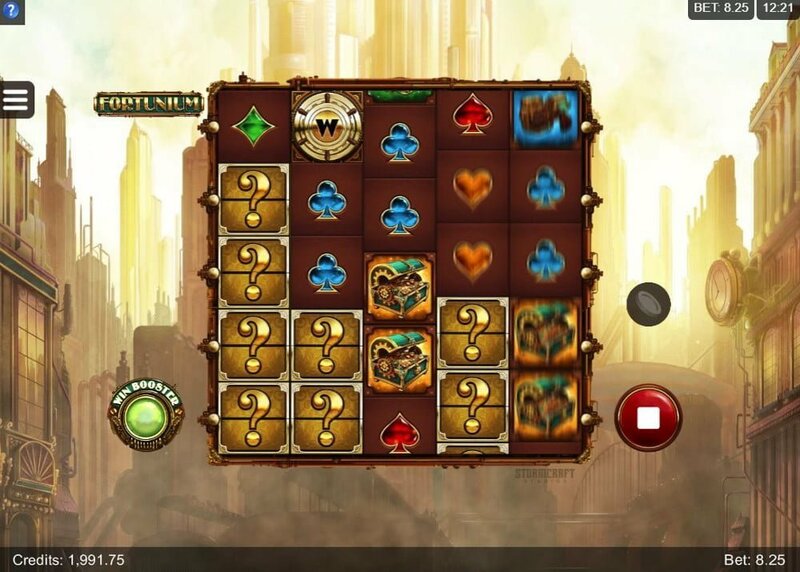 The slots is similar to Net Entertainment’s Steam Tower. 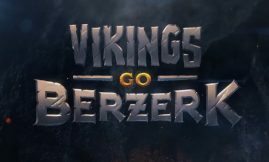 In terms of its game mechanic it has a steampunk theme that’s laced with Mystery symbols that can be transformed into wilds. Players who use the optional Win Booster will have to fork out 50% more per spin. 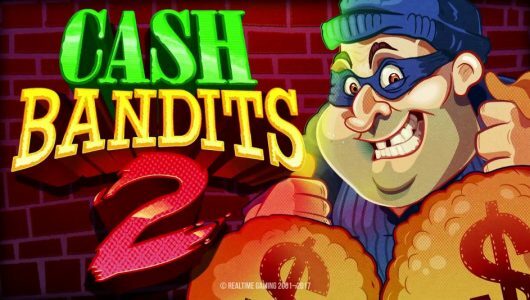 As always the free spins feature is the star of this show, it gives players up to 5 Mystery Reels plus a potential of up to 3 wild reels on a single free spin. The slots teleports you to a wonderful city that showcases works of mechanical masterpieces and alchemy. If you play the game on your smartphone it’s best to play it in portrait mode. Symbols on the reels are plasma guns, treasure chests with gold, green scatter, spades, diamonds, hearts, clubs, Maximillian and Victoria. They’re the main characters of the game, they appear 5 stacked high while the other symbols appear double stacked. Victoria is the most valuable symbol. Fortunium has a decent average return to player percentage (RTP) of 96.47% or an edge to the house of 3.53%. Players who plan on getting the most out the game must activate the ‘Win Booster’ option. It’s the green symbol situated at the bottom left corner of your screen. It will cost you 50% more per spin, instead of betting £0.10 per spin it will cost you £0.15, the smallest bet is £0.10 up to £125 per spin. The golden circular symbol with the ‘W’ on it is the Wild, winning combinations are completed by it when it substitutes symbols adjacent to it except the green scatter. The Mystery Symbols feature is triggered when the Question Marks (Mystery Symbols) pitch. What happens next is that low or high value randomly selected symbols as well as the wild will be revealed by it, the scatter is excluded. If you activate the Win Booster feature only high value symbols and the wild will be revealed by it (low value symbols are excluded). 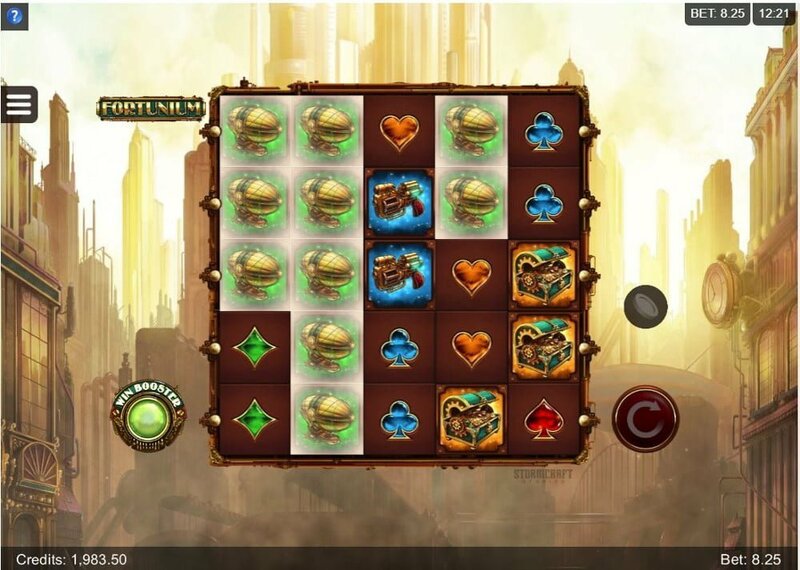 The free spins feature is triggered when 3, 4 or 5 green scatters appear any position on the reels during the main game. 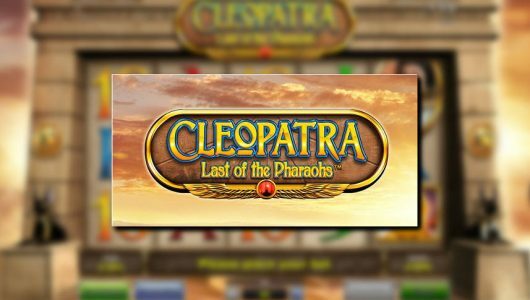 A new screen opens up which rewards you with 10 free spins, extra free spins are awarded for every scatter that appears. When 3, 4 or 5 scatters pitch, you’ll receive 1, 2 or 3 Mystery Reels on every free spin. However, only Mystery Symbols appear on the Mystery Reels, basically on each free spin you can get 3 fully wild reels! 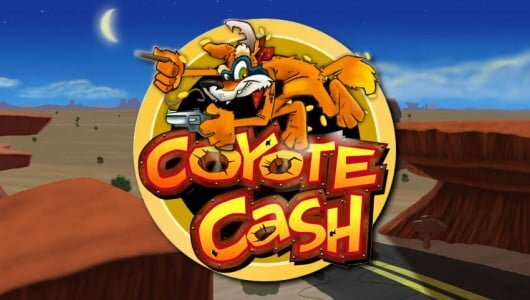 It also gives you a shot at winning the top cash prize of 800x your stake on a single spin. Fortunium is a captivating 3D slots with cracking visuals, unfortunately the theme of the game is not a novel idea because Net Entertainment already pipped it at the posts with Steam Tower. The top payout on a single spin is £100,000 (800x your stake) or to be more specific if you hit a full screen of wilds. In order to be eligible for the top payout your average bet per spin must be £125. Over all it’s a great slots with some big winning potential.